Once again, we have a gorgeous day in the SoCal area. With the wind blowing these past few days the hills are all clear and green surrounding us. These are such great days to be alive and to be in active ministry for our Lord. Even with great pain we experience from time to time, especially in this world in which we live, the opportunities to shine for Jesus are endless. We encounter difficulties, financial stress, work-related issues, sickness, death and sorrow, yet, we have a great hope in Jesus that life does not end when we breathe our final breath on this planet. John 3:16 rings loud and clear for us all, since it was our Lord Jesus who said, “everyone who believes in Him will have eternal life. ” And the last time I checked, “eternal” is a very long time. The shortest verse in the Bible is found right here. In the Greek it is 3 words, “edokrusen ha Iesous ” (wept the Jesus). Jesus slipped out of Jerusalem a few weeks earlier because the Jews were trying to kill Him, and He knew that it was not yet His time. While He was away, word came to Him and His disciples, that Lazarus (a close friend to Jesus) was very ill, to the point of death. Yet, Jesus delayed in making His return to Bethany which was only a “stone’s throw away” from Jerusalem. As they began to leave the place where Jesus was staying, Thomas is the one who said, Okay, guys, let’s go and die with Him, for they all knew that for them it would be dangerous to be anywhere near Jerusalem. Throughout the Gospels we read of Jesus having compassion on various people. He literally hurt for others. His stomach would churn when he saw great need, pain, hurt, and especially SIN. Remember, it was in the Garden of Gethsemane where Jesus wept and sweat over the sin of the world. In a just a couple of days we’ll be gathering together for Palm Sunday to remember the Triumphant Entry of Jesus into Jerusalem. Palm branches laid before a King. Cloaks and robes laid out before Him. 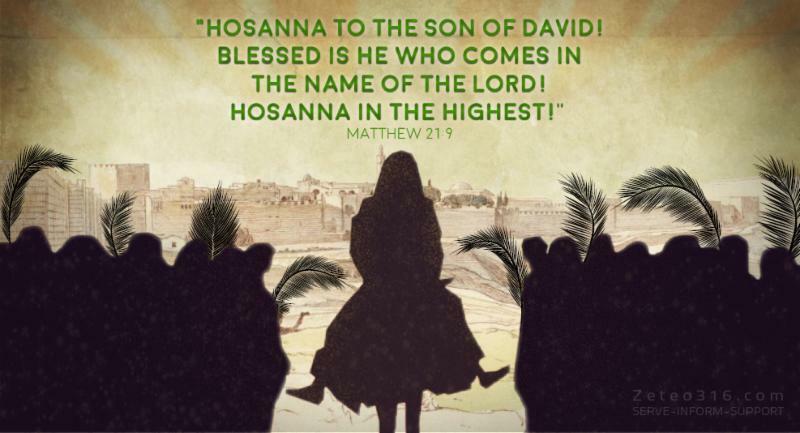 Crowds of people waving, cheering, and celebrating the arrival of Jesus as they shouted, “Lord Save Us!” (Hosanna!) What a day! But I can’t help but think of what all was crossing through Jesus's mind as He knew all that was awaiting Him. Perhaps He saw Bartimaeus in that crowd, maybe the unnamed man who was healed at the Pool of Bethesda, or Nicodemus, or even Lazarus. As He rode in on that colt, I’m certain that He may have been fighting back the tears once again. For He saw a people in need, a people with hearts that were broken, a crowd who often followed the ways of the world. As He triumphantly rode into town, I believe Jesus was feeling the weight of sin upon His shoulders. He was fully aware that it was for that BIG reason, He would be going to the cross in a few days. He knew that He was the Lamb of God who was TAKING AWAY the sin of the world. And He saw a crowd of people whom He loved. Don’t you think Jesus wept again? I do. Several months back I was asked to officiate a wedding ceremony for a couple I have known for a few years. I had journeyed with them through some difficulties, one of which was the bride’s father, only 55 years of age, who contracted pneumonia which grew worse, to the point where they knew he would never be discharged from the hospital. I had been in the hospital a number of times to pray along with him and his wife, speaking to him about the Lord and forgiveness of sin through Jesus Christ. The times when he was alert enough, I had sensed that he had given his heart to Jesus. 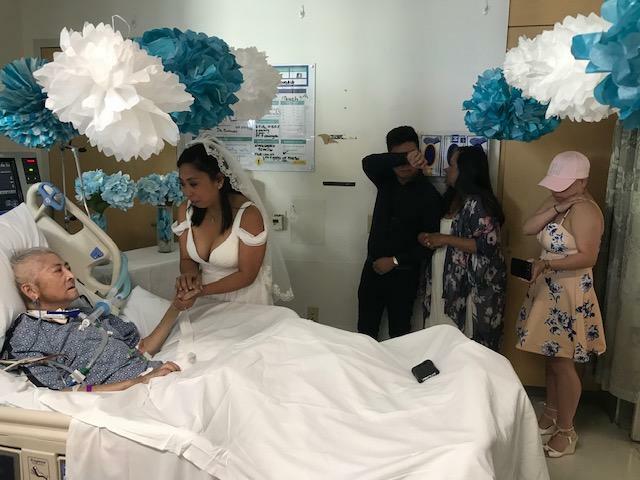 Then the bride and groom asked if I would perform the ceremony in the hospital room where he was lying. 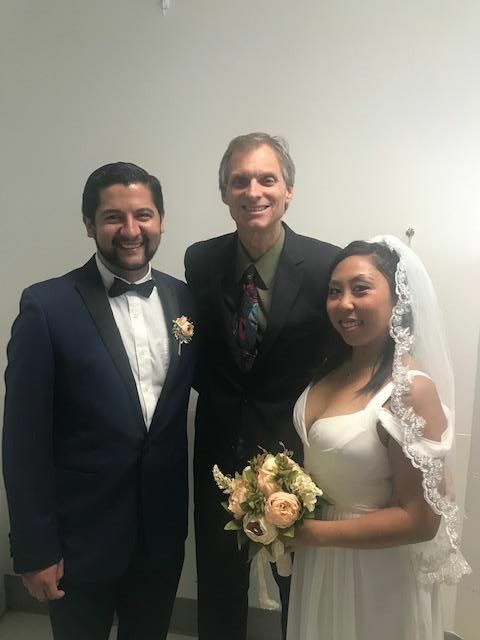 As the weeks progressed and plans were underway, I got the phone call that we would need to take action right away and have the ceremony sooner than later. Last Friday morning I made my way to the hospital to find that the hospital staff were working hard as they decorated the ICU Room for the wedding. One of the nurses came to me and asked if I could delay the ceremony just a bit because the CEO of the hospital wanted to be there for the ceremony. 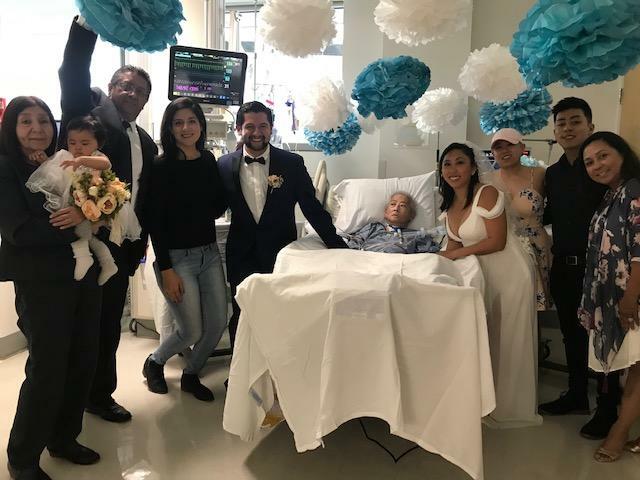 As I called on the name of the Lord to bless this new beginning for this young couple with family by their side, and a hospital staff of nearly 30 people, I fought back the tears as I witnessed this holy matrimony. 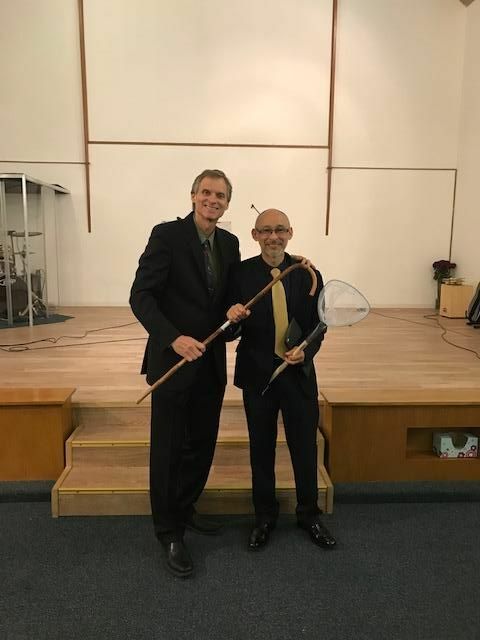 They had taken the dad off of medication so that he would be alert enough to witness the ceremony, and what a glorious moment it was as we united two people together in the name of Jesus. 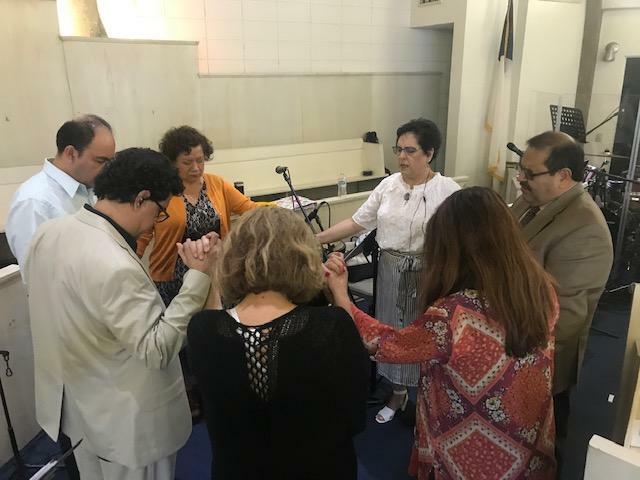 Last Friday night I had the privilege of installing Arturo Guardia as the new Lead Pastor in Santa Paula, and what a great group we had for a Friday night service! 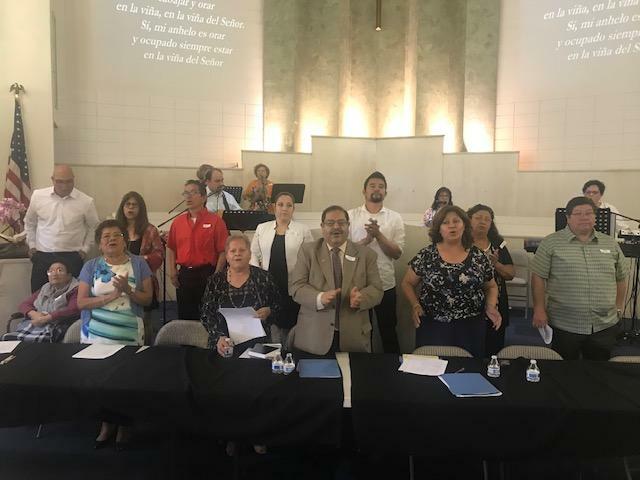 We welcome Pastor Arturo to the District Pastoral Team, and I am grateful for his sensitivity to the leading of the Holy Spirit. Would you join me by praying for this church as they begin a new journey ahead. We love you, Pastor Arturo! 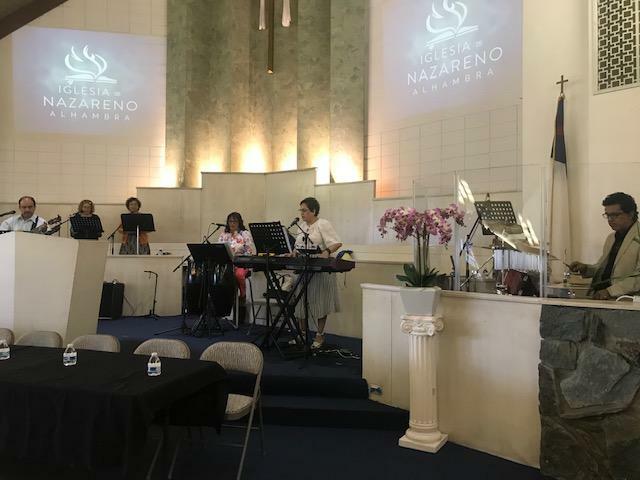 Alhambra : On Sunday, Pastor Eleazar and Laura Torres invited me to preach in the English-speaking service and then to share a little in the Spanish-speaking service afterwards. 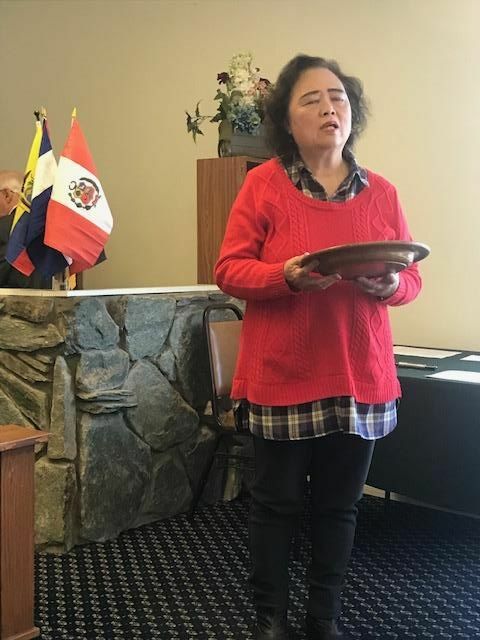 I’m so grateful for the work that is taking place in Alhambra as they minister to three different language groups including the Chinese-speaking people. 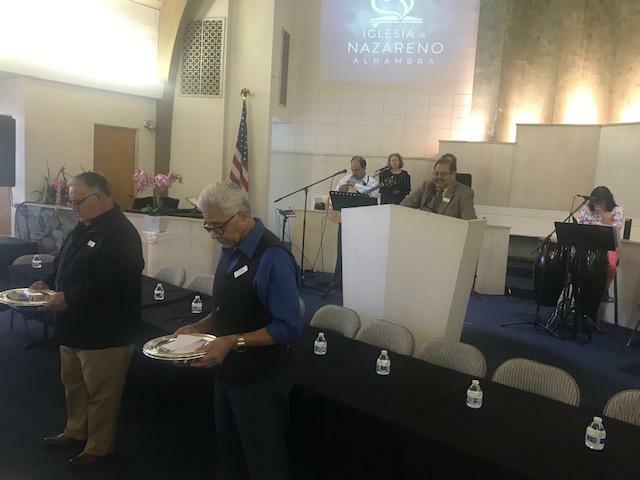 At the close of the service we went into the Annual Church Meeting. What a joy it is to hear the reports of all God has done and then to catch the vision for what is in store this coming year. 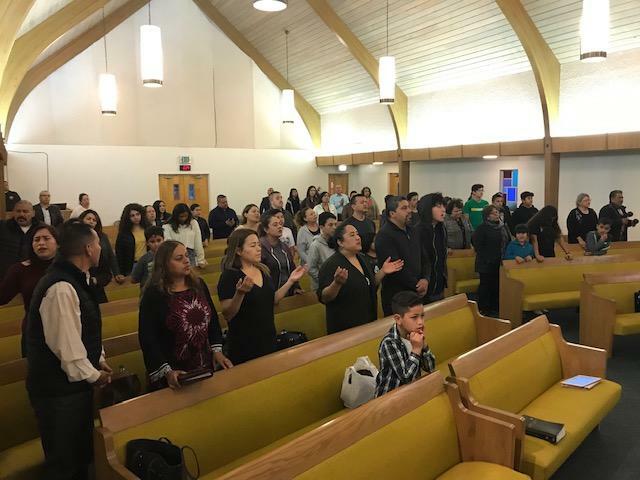 We love you, Pastor Eleazar & Laura Torres, along with your great team of leaders and church! We have noticed that most of our churches haven't logged into their online reports yet...so PLEASE DO NOT DELAY on this task and get on it right away. Your cooperation is greatly needed and appreciated. Thank you! 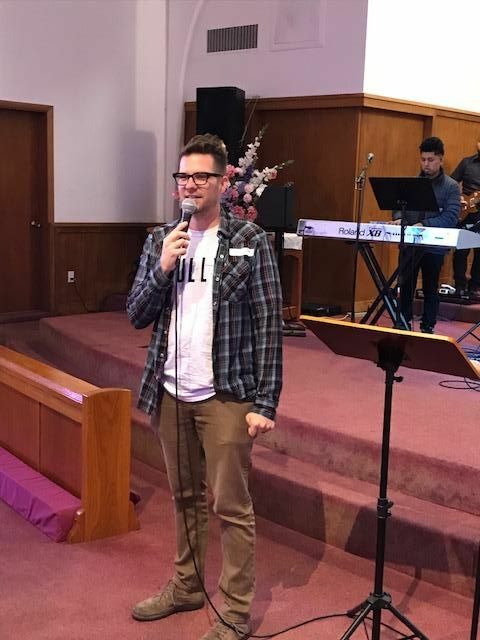 NYI Convention : Last Saturday afternoon Pastors Josh Johnson and Tim Olson led the LA District NYI in their annual convention which was held in Ventura. 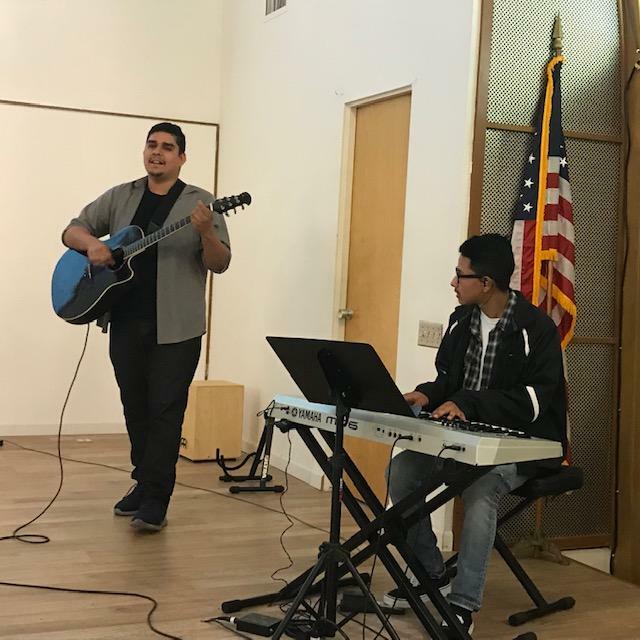 What a great and positive time we had together in worship, elections, fellowship, fun, games and pizza! An outstanding job was done in leading this year’s convention. I am so thankful for our team of leaders, both clergy and laity, who have brought our youth together for this awesome event. I am so thankful for the youth we have on the district. 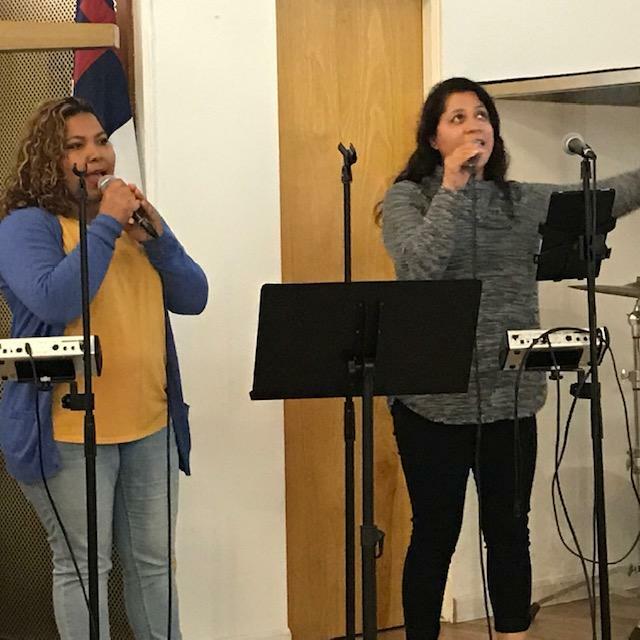 These young people are on fire for Jesus, and I am looking forward to hearing reports from NYC and Camp this coming summer. We love you all!!! 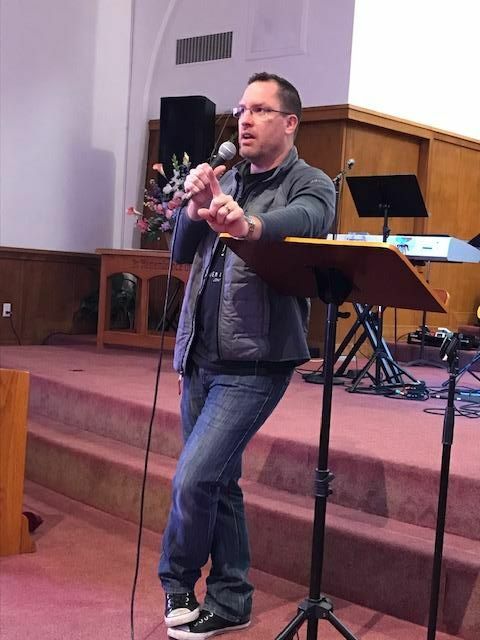 NYI Convention Photos - Click Here!  Is this year’s District Assembly theme. Materials are being sent your way for the NMI Convention and Assembly that will be held in Pismo Beach. You will want to take advantage right away for the housing opportunities mentioned (click below). The dates are June 12-14. NMI Convention will begin on Wednesday night, June 12, at 7:00 pm and continue on Thursday morning. District Assembly will being at 2:00 pm on Thursday, June 13, and we hope to be done with everything by 3:30 pm on Friday, June 14. Ordination Service is scheduled for 7:00 pm on Thursday, June 13. I hope to see you all there! On-campus lunch options are available. Please click below to view menu options and reserve your lunch. 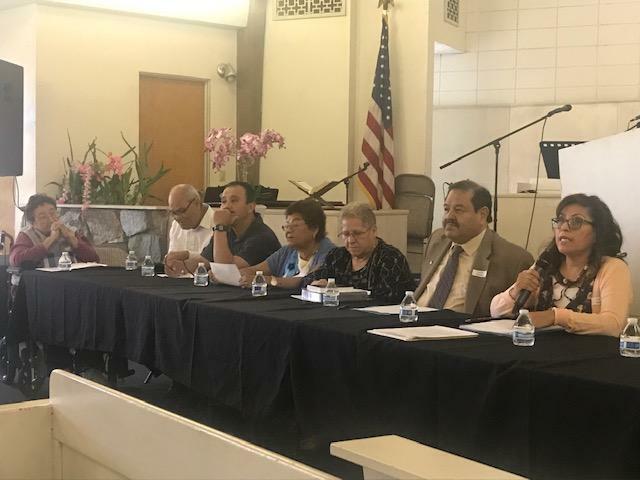 The Church needs to know ahead of time how many children will be registered for each session in order to have proper staffing. District Assembly Lodging Options - Click Here! District Assembly Lunch Options and Childcare Information Reserve Here! Our dear brother in the Lord has departed for a while only to spend eternity with the Lord. 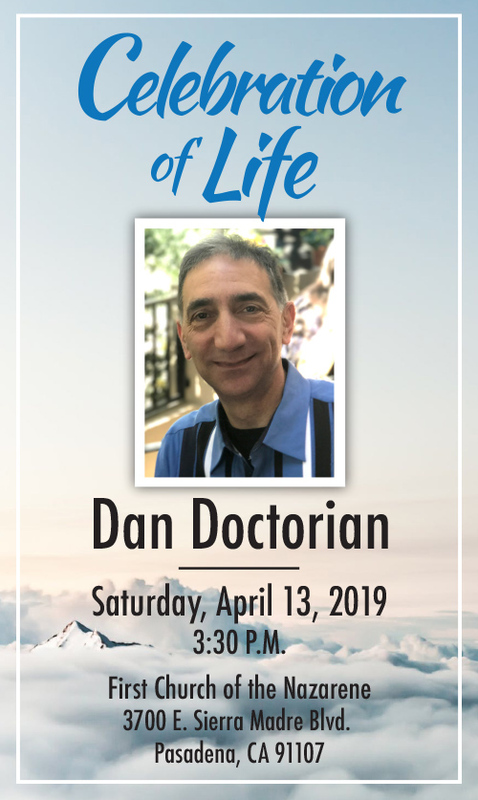 The Memorial Service for Dan is this Saturday, April 13 at 3:30 pm in PazNaz. We will miss our friend and brother in Christ, and we are praying for Nora and the entire family during these difficult days. Dr. J.K. Warrick, General Superintendent Emiritus. I hope to see many of you at the retreat. Please lift up both Pastor Rick and Vonnie Savage to the Lord in prayer. It’s been a rough week for them. Vonnie has had complications with her foot following surgery, and she is unable to get around right now. Pastor Rick is home with bronchitis. 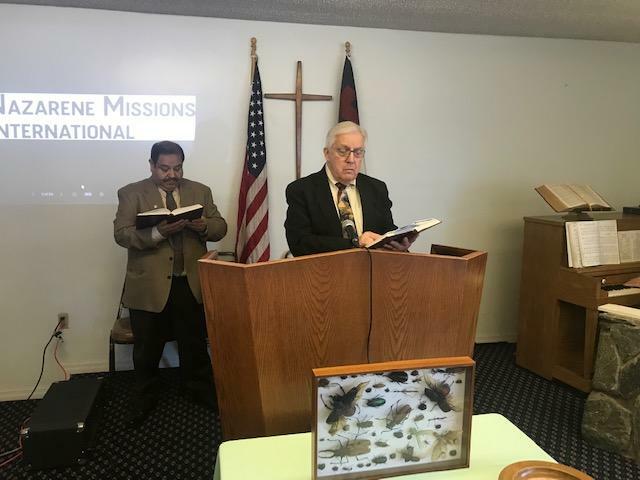 Retired Pastor Chuck Smith is in need of prayer as he has difficulty with breathing. Nora Doctorian and the rest of the family in the loss of our brother, Dan Doctorian. 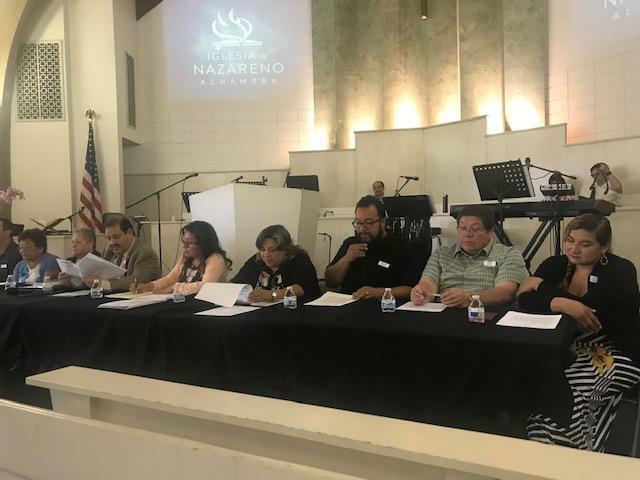 All of our churches as we begin filling out reports and preparing for District Assembly. May the Lord bless you with His awesome presence this Palm Sunday weekend, as you prepare to enter Holy Week! 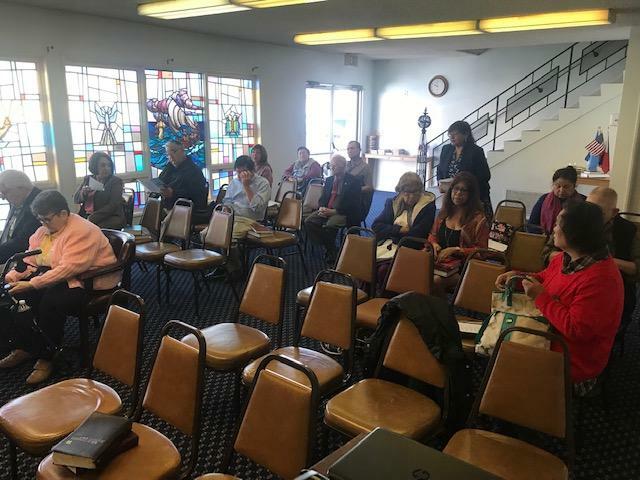 I wish I could be present for all district activities and ministries in our local churches, but please know that I am praying for you in your many outreach ministries and worship opportunities. I love you and I do hope to see you soon!